Long Durability - "Customers say, they use it over and over many times!" 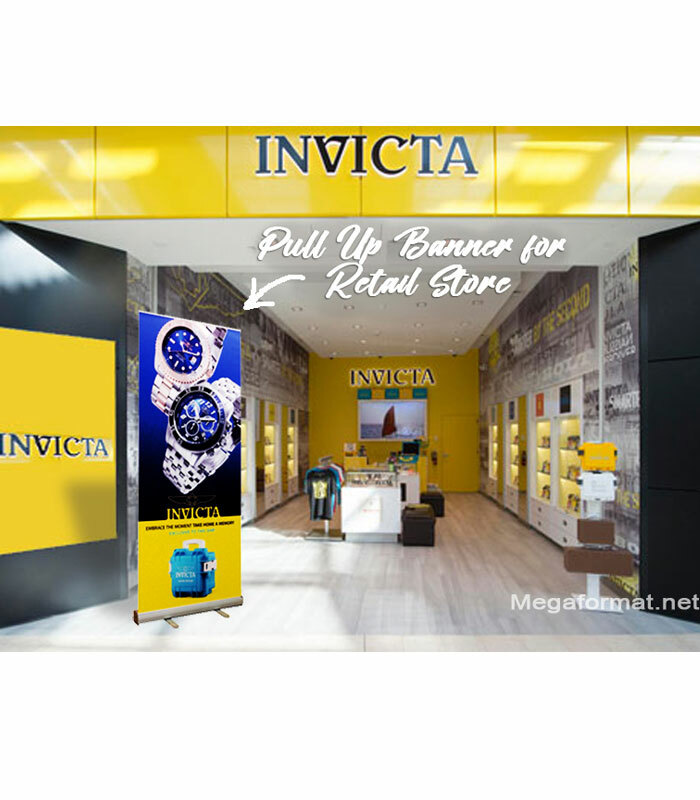 Banner Size: 24" x 78" 33.5" x 78" Best seller 47" x 78" ----------------------------------- 24" x 90" 33.5" x 90" 47" x 90"
*Rush Turnaround is up to 2 quantity . For more quantity check availability. Available sizes in width 24" 33.5" 47"
All sizes are available in 78" or 90" high. Artwork should be set at 400 DPI at 1/4 the size, no bleed is required. Banner Size: 23.75" x 78"
File page size: 5.9375" x 19.5"
Banner Size 33.5" x 78"
File page size 8.375" x 19.5"
Banner Size 47" x 78"
File page size 11.75" x 19.5"
Banner Size 24" x 90"
File page size 6" x 22.5"
Banner Size 33.5" x 90"
File page size 8.375" x 22.5"
Banner Size 47" x 90"
File page size 11.75" x 22.5"
Please make sure the text is not too close to the edge of the banner (see image). 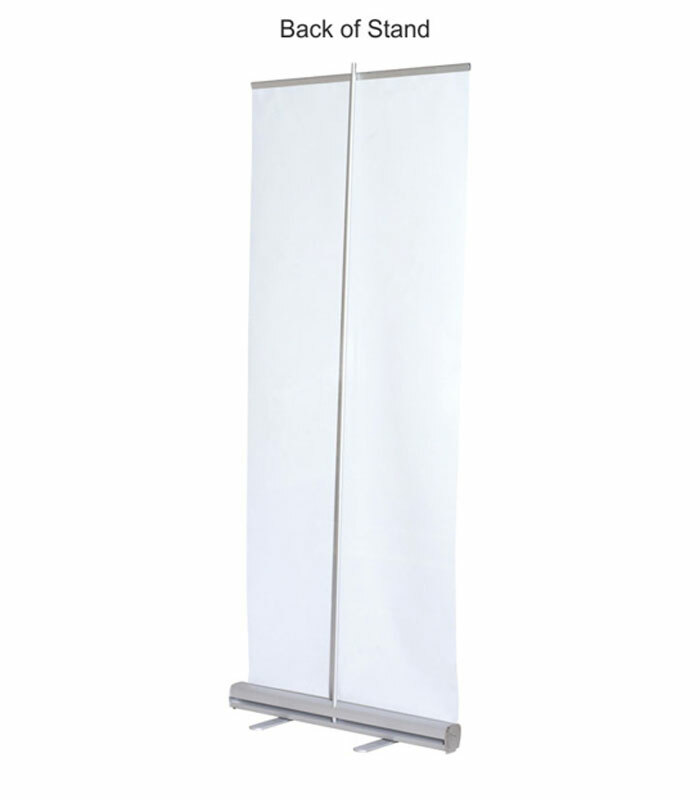 This lightweight retractable banner stand or Tradeshow pull up banners - will help you achieve you're marketing goals by displaying your message in big, the print rolls into the base and it's a free-standing banner, great for trade shows, it takes up no space from your booth and big enough to attract traffic at your event, also convenience for presentations, conferences, and retail stores. "Customers say they use it over and over many times!" 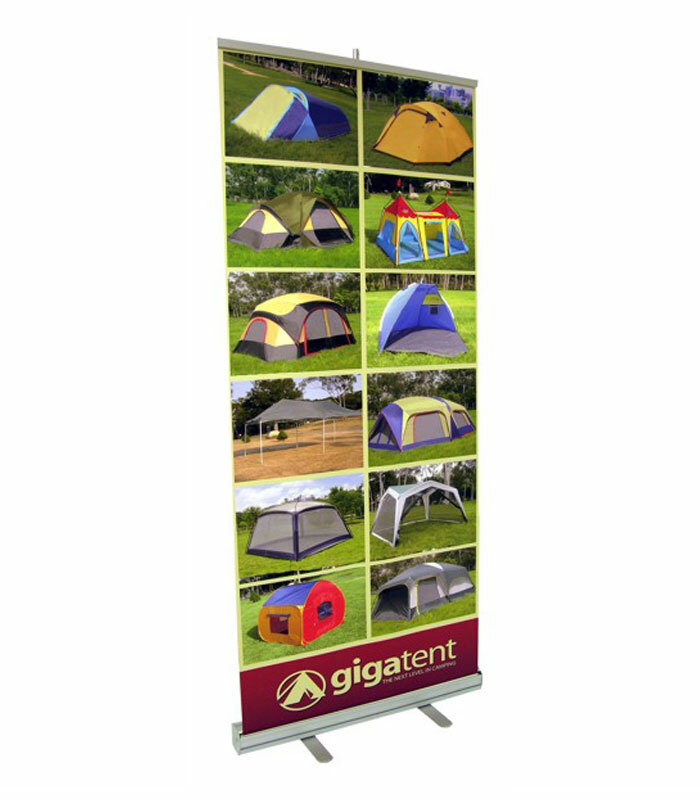 Includes Banner stand, Printed graphics, Soft carrying case. Base Size: 4" D x 4" H x 35" W.
Shipping Size: 6" x 6" x 36"
Print: Printed with HP Latex 360 will not fade. Material: Printed on high quality 11 oz. polyester non-curl fabric. Sets up in a minute, put in the telescoping pole, pull out the banner hook it up on top and your message is displayed. Printed on a high-quality fabric which stays flat and never curls. 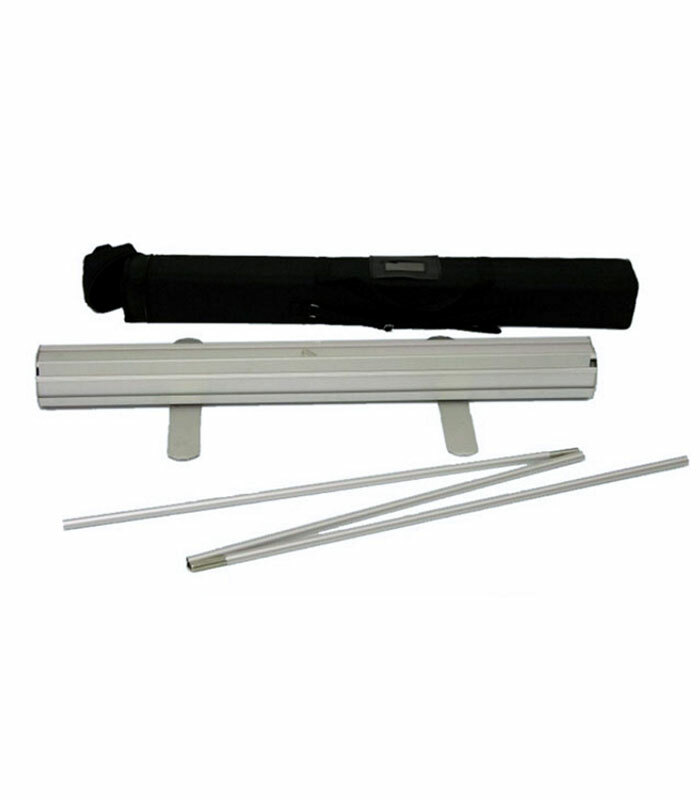 Soft nylon case included to protect your stand and for easy transportation and storage. 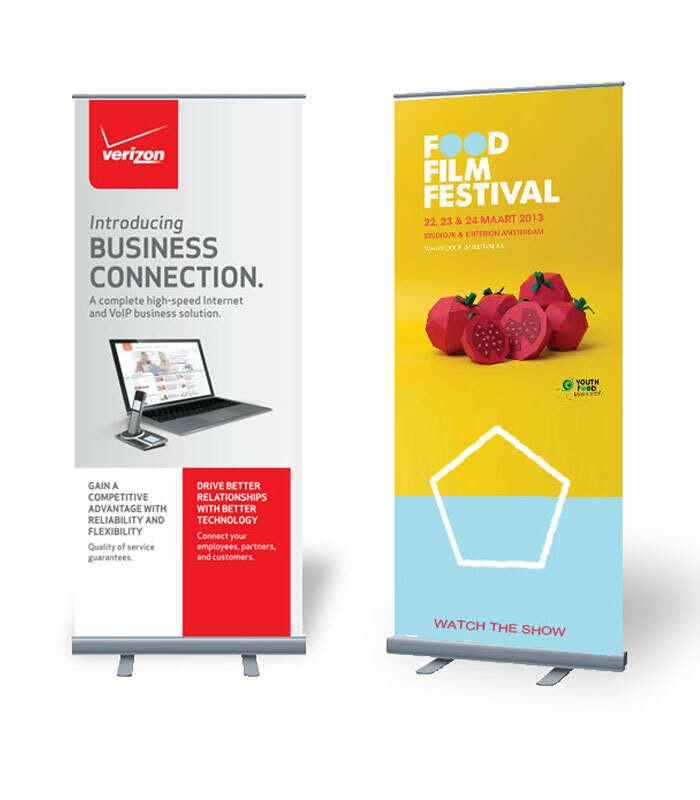 Putting away your pull up banner stand for your next event is easy and compact, pull down the banner roll it in the base, remember to put the telescoping pole in the slot in the back of the stand, pack it in the soft case included and you're ready to go. 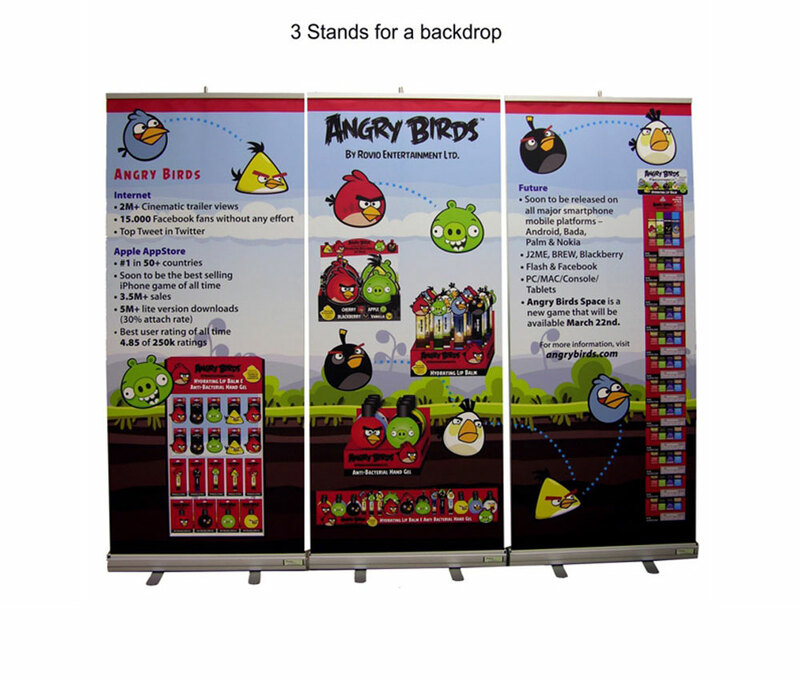 This retractable banner stand became very popular to use at trade shows because it's portability and easy setup, you put it just like anywhere it takes up no space, this banner stand is also known as pull out banner stand, roll up banner and pop out banner stand, you can see this roll out banner at all events big or small the pop up banner is used as a excellent marketing tool. 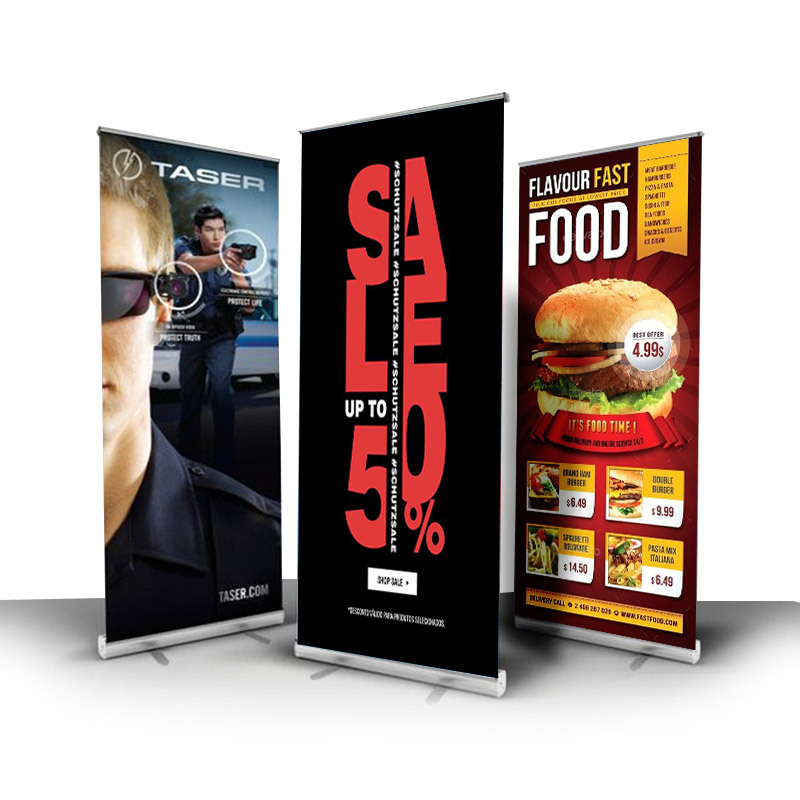 Our roller banner stand usually ships 2 business days after artwork approval. if you need it in a rush contact us to see availability and how we can help you get your stuff on time within your deadline. Standard 2 business day turnaround is up to 6 quantity, for more quantity, it can take longer, please contact us to check turnaround. Need it in a Rush, most of the time we can have it for you please contact us to see availability. 50 W Halogen light to brighten up your graphics. Select add a light on the page. 1) Turn out the 2 legs from the bottom of the stand. 2) Locate the telescoping pole from the back of the stand and put it in the hole of the stand, make sure it sets firm in the bottom of the stand. 3) Put your feet on the legs of the stand, pull out the graphics until it reaches the top of the pole and hooks it up! Q. What is included in the total price? A. 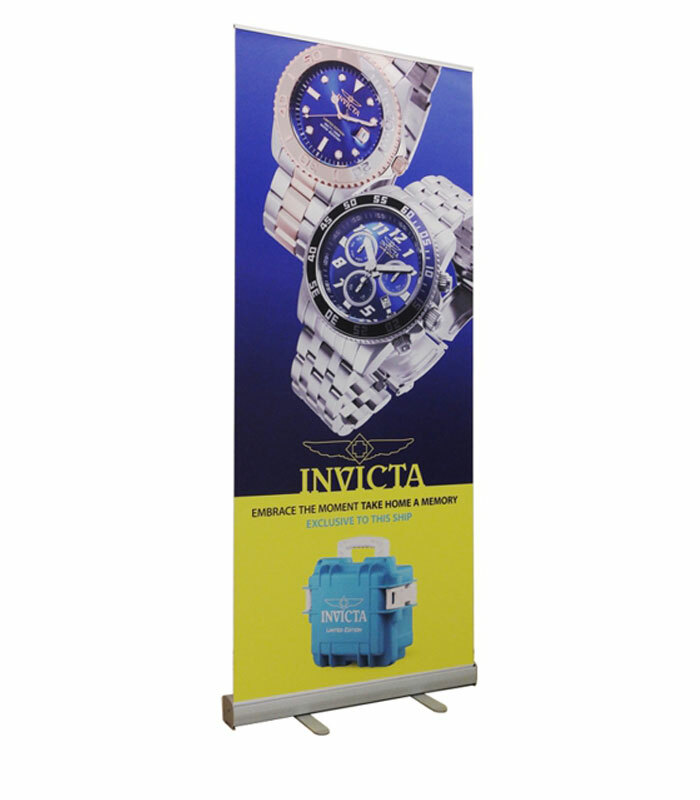 Our retractable banner includes the hardware and high-quality fabric print assembled and ready to use packed in a soft case. Artwork graphic design service is not included, the customer should upload a ready to print file with the order. Q. 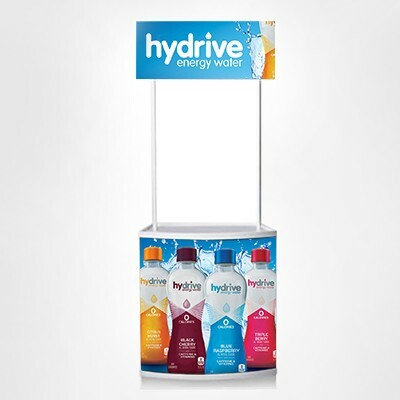 Do you have a discounted rate for multiple banner stands? A. Yes, you get an instant discount when you put in more quantity. Q. Is there any other setup fees? A. No, if you send a ready file to print we don't charge any setup fees, even if we need to slightly adjust your file. Q. 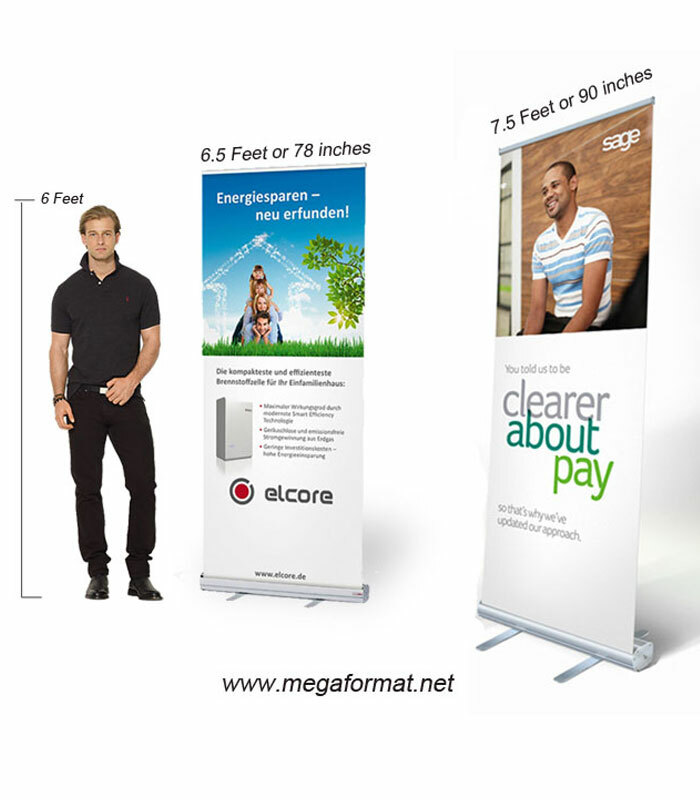 What is the benefit of the fabric you use for the roll-up stands? A. The fabric is a non-glare high-quality fabric, its smooth finish on a bright-white matte base offers exceptional image quality. It will never curl on the sides and will always stay flat even if you use it frequently or if you leave it open for a long time, unlike vinyl banner that will curl in a short period of time. We use this fabric for many years customers love it! it presents their company in a classy way. Q. Will the fabric fray/ravel overtime? A. No, we use a hot knife to cut the fabric that will seel the edges and makes a smooth cut you can be assured your pull up banner will be presented professionally. Q. Do you have a template for the banner stand artwork? A. Please find the "Artwork Specification Button" on the right side below the description, we have all the exact specs how to design and layout your file for high-quality printing. Q. Can I send my own graphics file for printing? A. 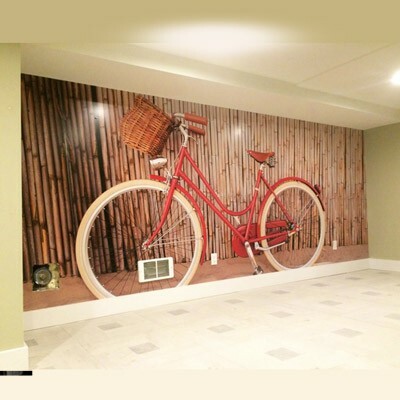 Yes, we recommend sending your own custom graphics, designed according to our artwork specifications, Mega Format will review your file and make sure that the artwork is high resolution and good for printing. Q. Is the printed fabric fire/flame retardant?